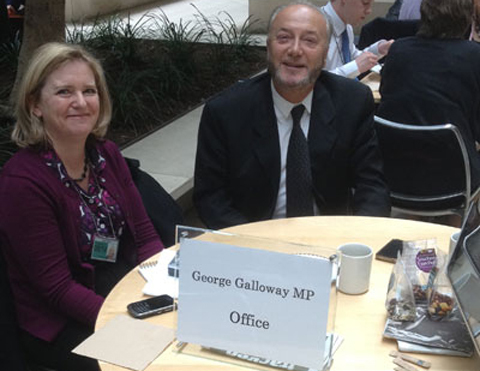 Sky’s Jon Craig reports that Labour are dragging their feet in arranging an office for George Galloway. He has taken up residence in the Portcullis House Atrium as spotted by EyeSpyMP last week. Lots of rubbish Gorgeous?